Don’t you just love being part of the internet influenced world of today? Along with the possibility of staying in touch with loved ones all over the globe, and finding out various sources of information within seconds, we also have the chance to do some shopping online without even leaving our homes. Unlike at the very beginnings of online shopping, nowadays, we can shop anything, including art. It’s needless to say this makes it that much easier to surround yourself with artwork, turning your home into a gallery of your own, without breaking your bank at that. This is possible thanks to the online art galleries and interior décor shops, so it’s not difficult to find an art poster or print that catches your eye, and suits your budget well. Where to begin with the art decorating project? By collecting art of course; in the case of art collecting on a budget, the first step is finding the different types of art poster and print to inject your décor with. If you’re up for something airy, following the Scandinavian design trends, you can’t go wrong by making way for the natural beauty in your abode, using the help of prints showing off nature, be that with plants, or breathtaking landscapes. Having in mind there are more ways you can showcase art, not just by hanging the pieces on the walls, the minute you start looking through the wide range of posters and prints, you can expect to be inspired to have fun with your interior, finding the adequate pieces to be placed beside the living room sofa, in between the hall tree shelves for a warm welcome, or between the books on bookshelves to add some colour. Then again, they can also be turned into a fun headboard above the bed, or even spice things up in the bathroom so you’d make of it a sanctuary as much as the bedroom – the possibilities are endless. Since you’re going to come across posters and prints of all shapes and sizes, it’s important to determine the right one for your space; spacious interiors require big art pieces, whereas small interiors require smaller ones. Being on the quest for the perfect posters and prints, it’s the ideal opportunity to learn a thing or two more about art, and the artists themselves. The more you know, the more you’d be motivated to surround yourself with art. 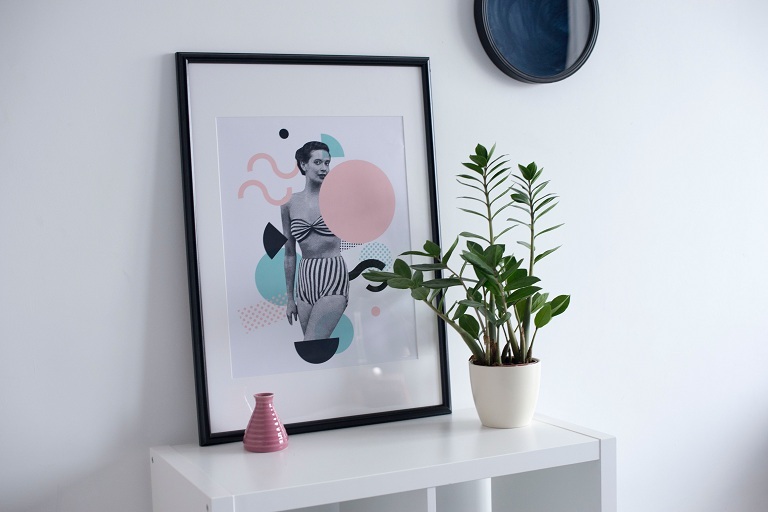 Come to think of it, this is the ideal chance to get to know more of yourself too, thanks to the type of prints and posters you want to have in your own gallery at home.